Since 2005, there have been 4,404 data breaches publicly reported which encompasses 930,642,064 known records (the scope of some breaches are unknown at this point), according to privacyrights.org a nonprofit clearing house. Included in this total are the 56 million records compromised over a 5 month period in the breach reported by Home Depot last month. Not included at this point are the 76 million households affected by a breach at JPMorgan Chase, the nation’s largest bank on October 2, 2014. While it is these large cases that make headlines, a recent study conducted by the Ponemon Institute found that more than half of small- and mid-sized businesses experienced a data breach and nearly three-quarters can’t restore their data. While businesses like Home Depot, Target, and JPMorgan Chase will weather this storm, 60% of small businesses close their doors within half a year of being victimized by cybercrime. According testimony at the House Subcommittee hearing on Health and Technology, the one thing that hurts businesses more than anything else is using poor passwords. Have policies on security and the use of data and mobile devices. Train your employees on following these policies. 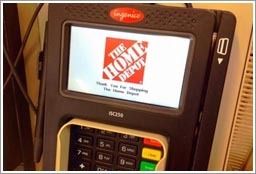 According to Home Depot, criminals used unique, custom-built software that had not been seen in previous attacks and was designed to evade detection. In an article by Insurance Journal, approximately 40% of the cost will be covered by insurance. This is the future that businesses need to prepare for regardless of the size of your company.